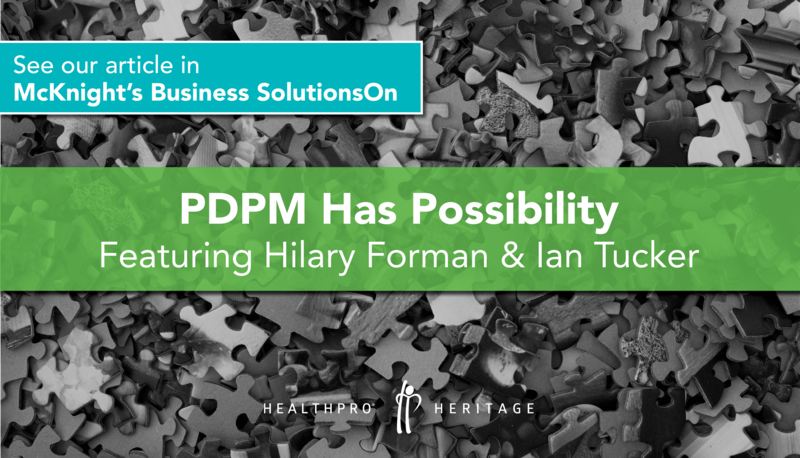 Imagine a world where reimbursement isn’t based on the volume of therapy visits. Instead, therapists care for patients and drive outcomes based exclusively on clinical need. 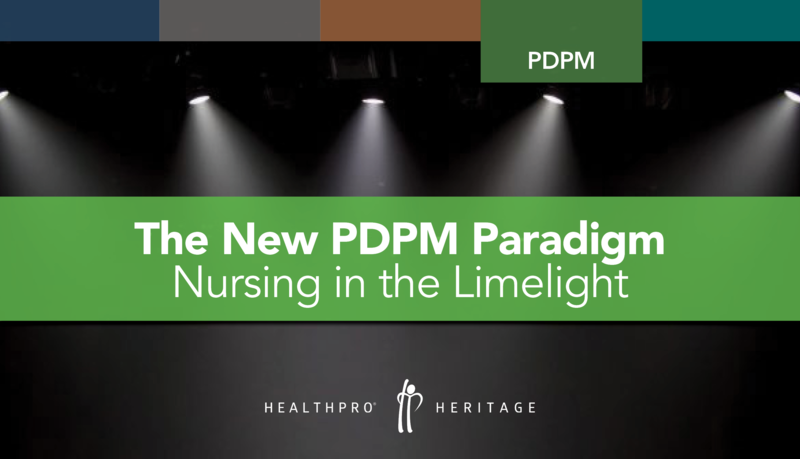 HealthPRO® Heritage experts agree: PDGM will breathe new life into how, when, and why therapists deliver care. 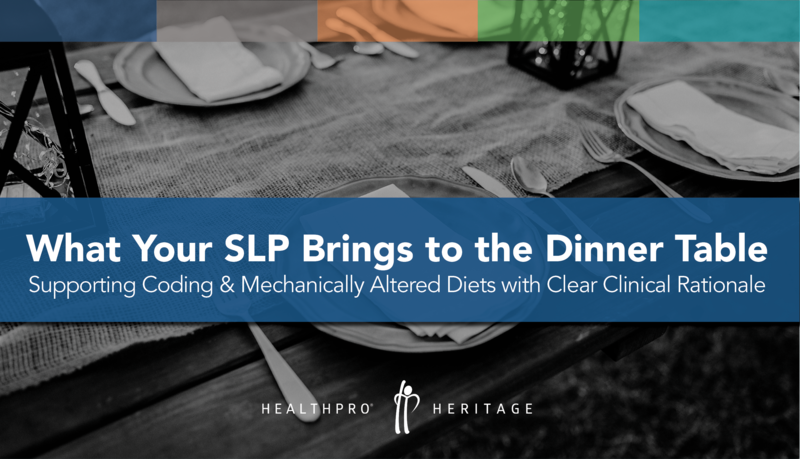 We are, in fact, excited for a new world where our success will be measured by the evidence-based therapy we provide and the outcomes we achieve. 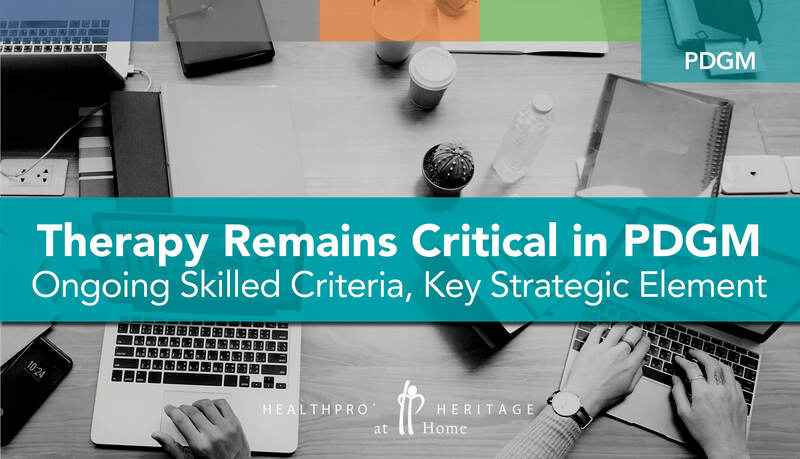 Contact education@healthpro-heritage.com for more information. 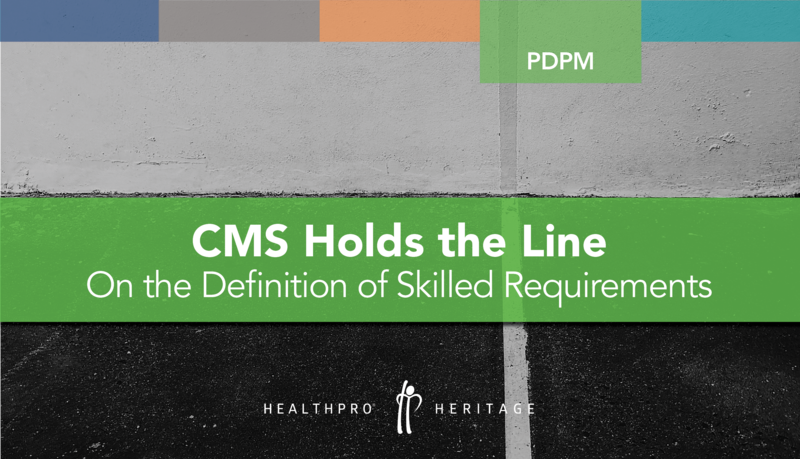 Under PDPM, CMS has broken the singular nursing component of RUG-IV into two separate components – Nursing and Non-Therapy Ancillary (NTA) – to adeptly account for the wide-ranging variations within the skilled population. This change represents a very different and much-needed approach to efficiently managing patients with higher complexity and/or multiple conditions. It also opens many doors of opportunity for providers and patients alike. 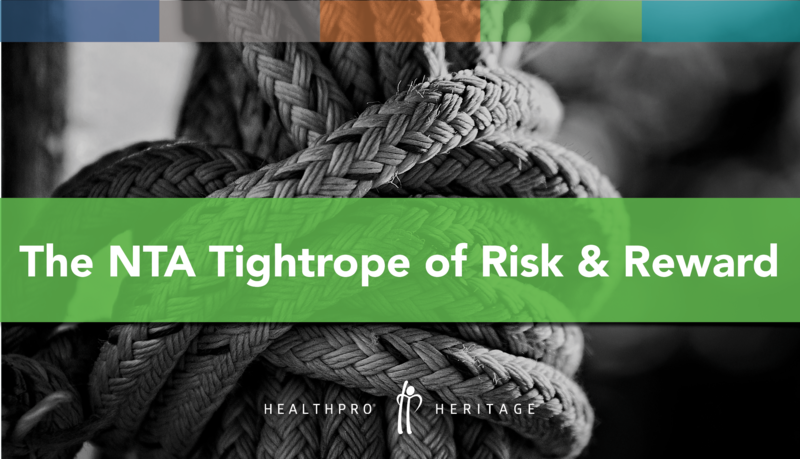 For example, providers will now be able to identify specific groups of conditions – and subsequently build specialized care programs recognized by referring hospitals as best practice. So this all makes sense, and there’s nothing to worry about. Right? Not so fast! 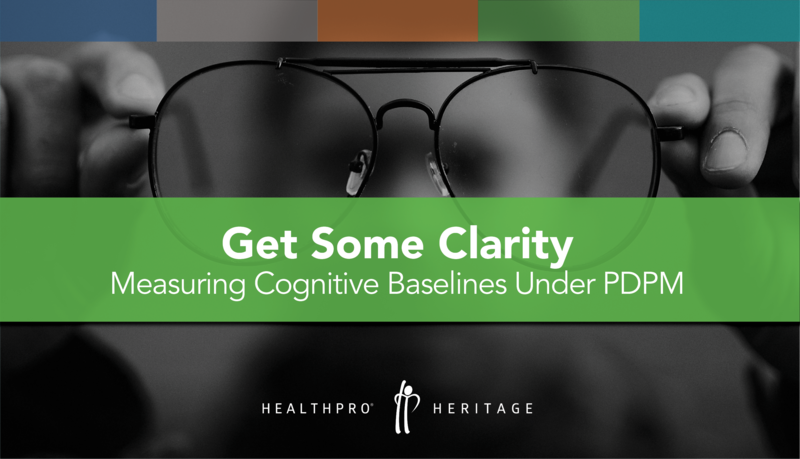 In today’s world of Medicare, the use of cognitive testing – specifically the Brief Instrument for Mental Status, or BIMs – is completed in order to satisfy Section C: Cognitive Patterns on the Minimum Data Set (MDS) to effectively guide care planning for residents with confusion or a cognitive impairment. 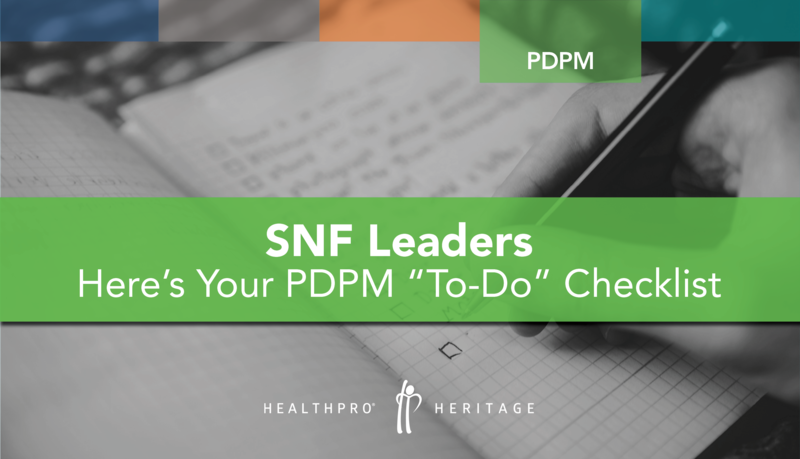 SNF revenue – by increasing the Case Mix Index related to the SLP component under PDPM (because a cognitive impairment requires more resources, it will therefore will pay more in the new system). 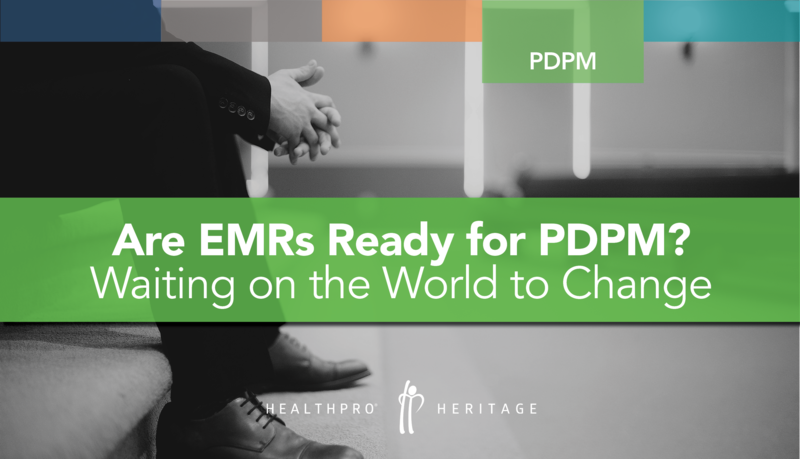 Are you concerned about whether your EMR is equipped to handle the transition? You’re not alone! MDS coding experts must remain vigilant! 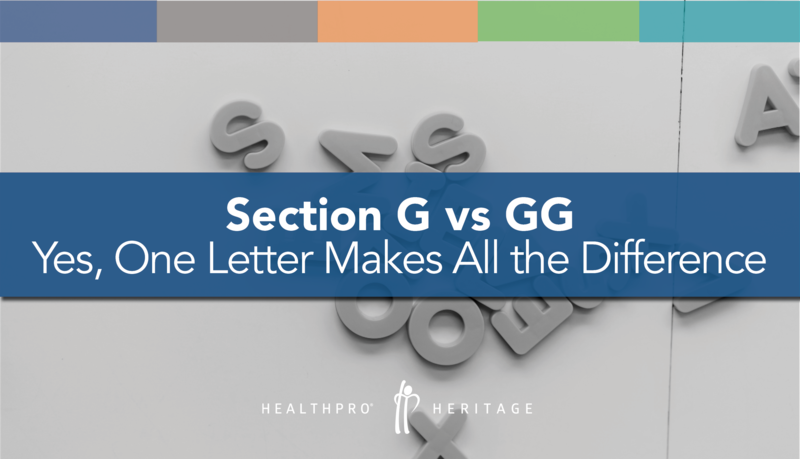 Beware coding pitfalls when it comes to Section G versus Section GG.